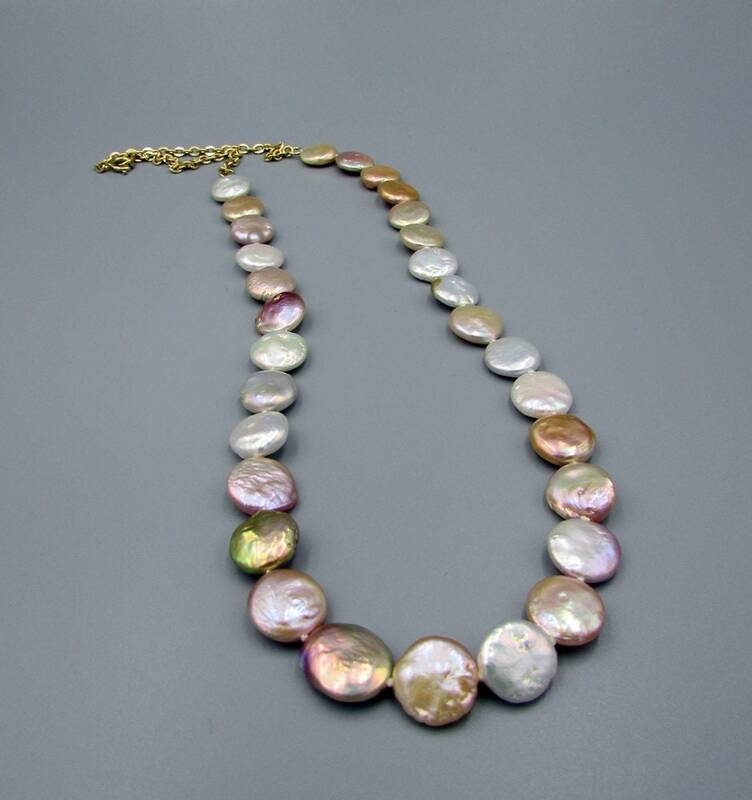 This luminess coin freshwater pearl necklace is hand knotted on silk thread between each pearl for beauty and durability. 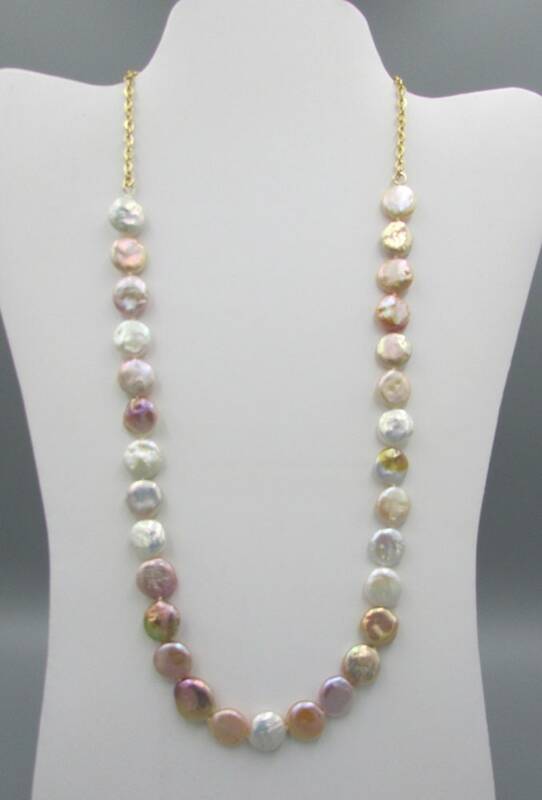 Finished with 14K gold filled chain and a 14K gold spring ring clasp. 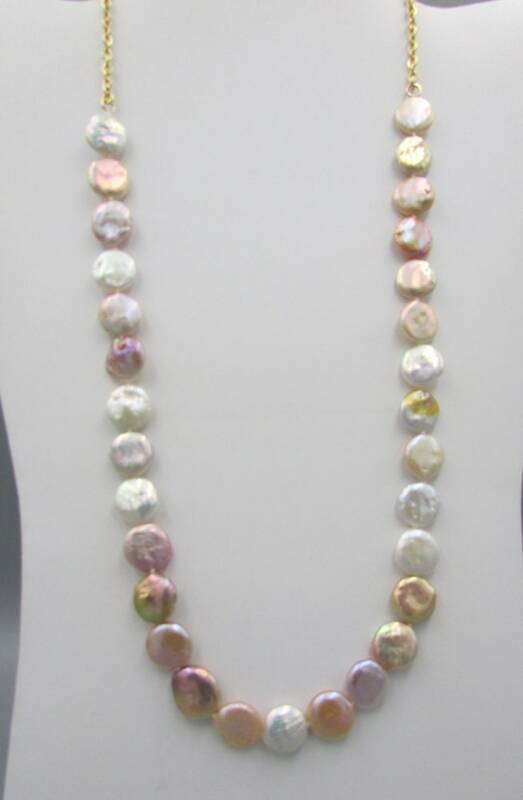 The length is 23 1/2 inches. 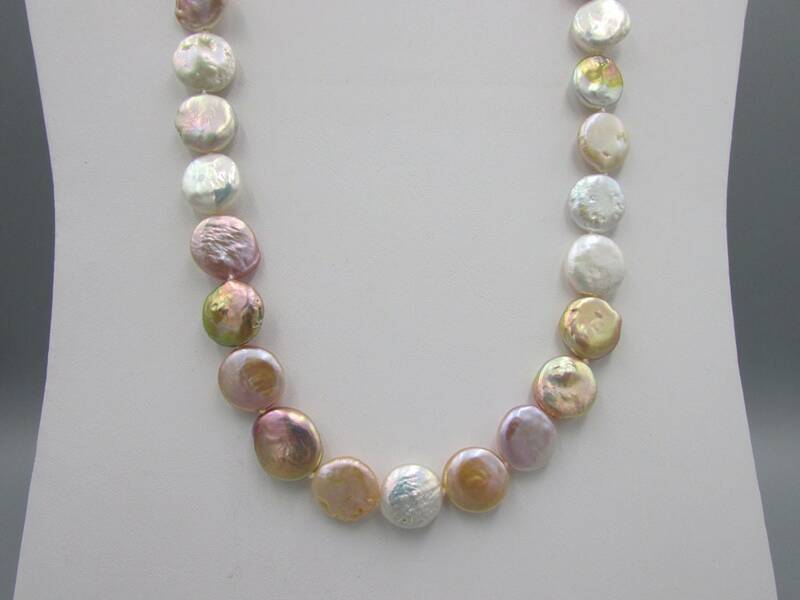 The coin pearls are about 10mm to 11mm in size. 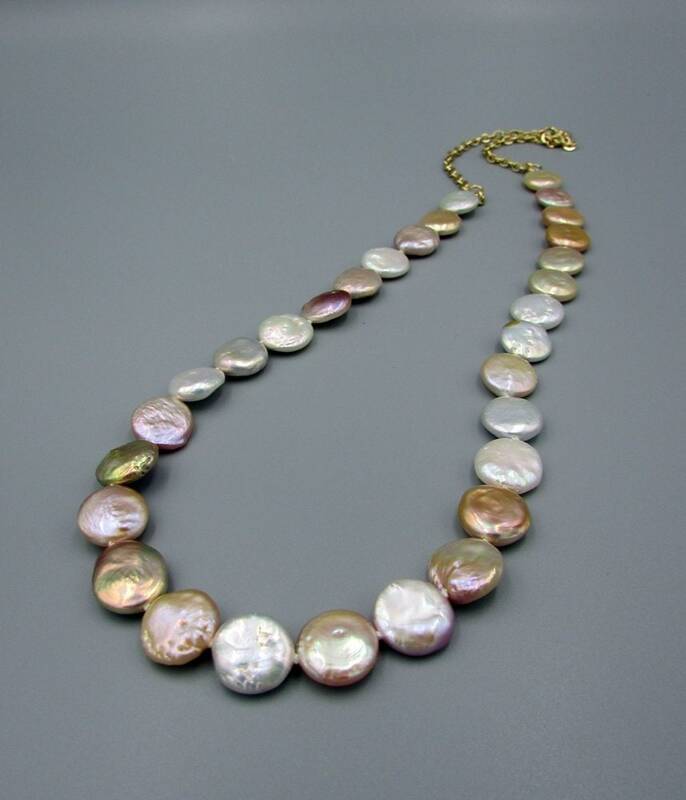 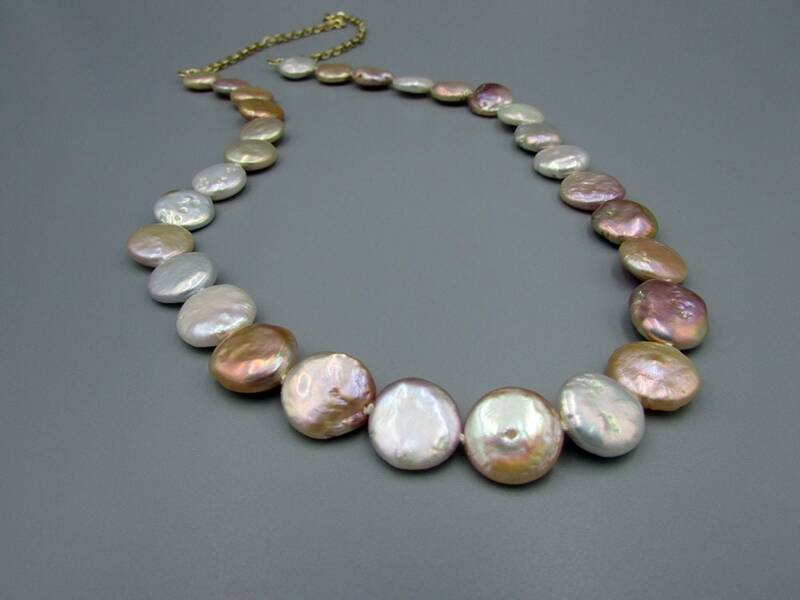 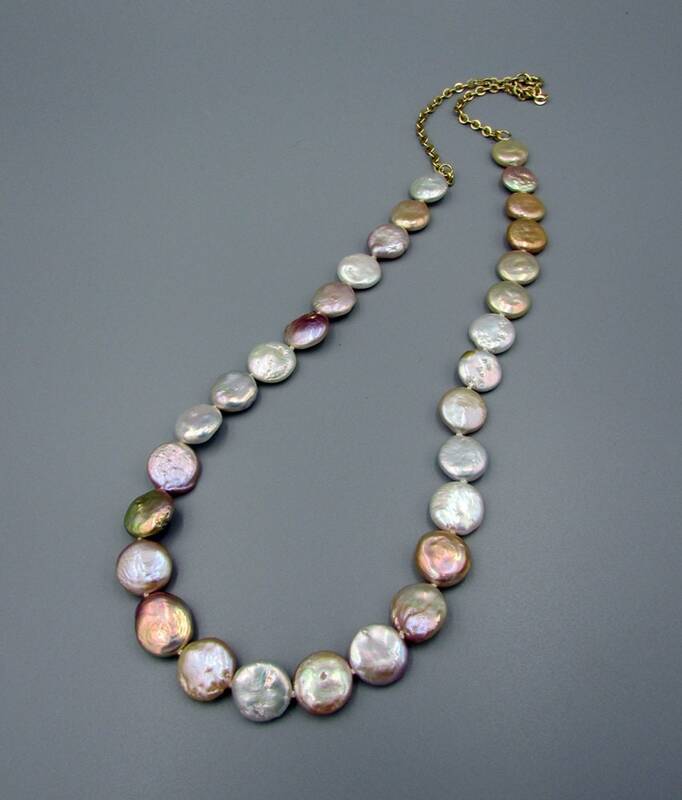 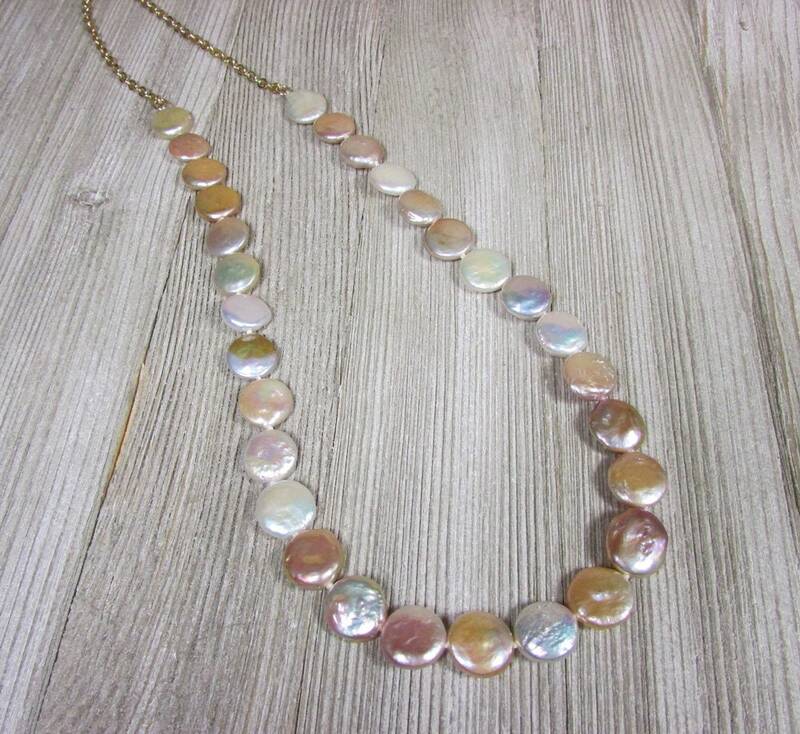 These coin freshwater pearls have a beautiful shine and shimmery color in shades from white to pink to light gold. 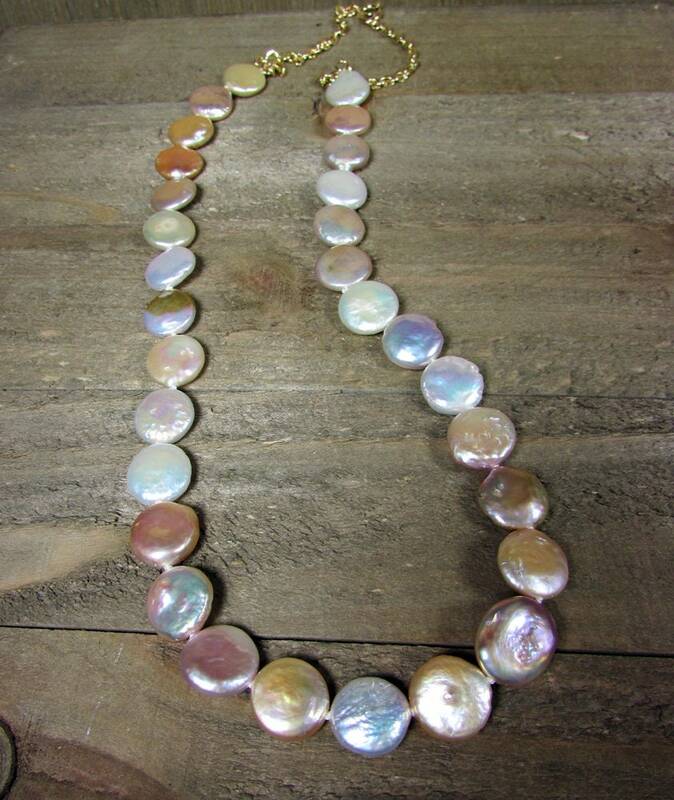 Multi Colored pearl necklaces are one of the hottest trends this year and breathtaking colors.